GIFT SET: 6 Placemats Kimono Fan Red & 6 Dinner Napkins in Red. 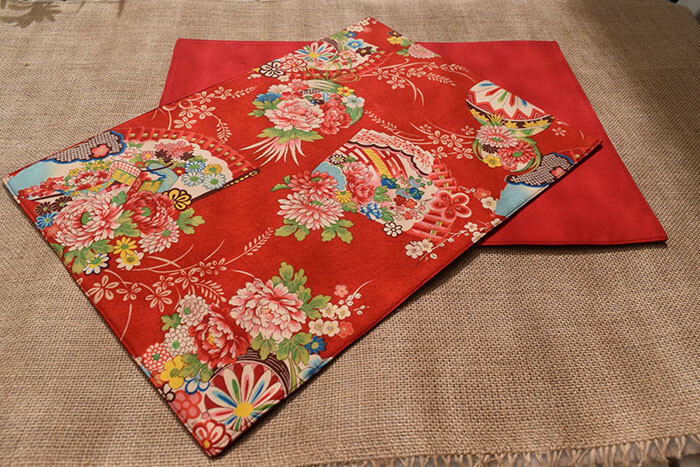 Set of 6 Reversible Placemats using Kimono Fan 100% Cotton in Red from the Japanese Textile Company Kokka Co. Ltd on one side and the other side a plain Red 97% Cotton and 3% Spandex blend. 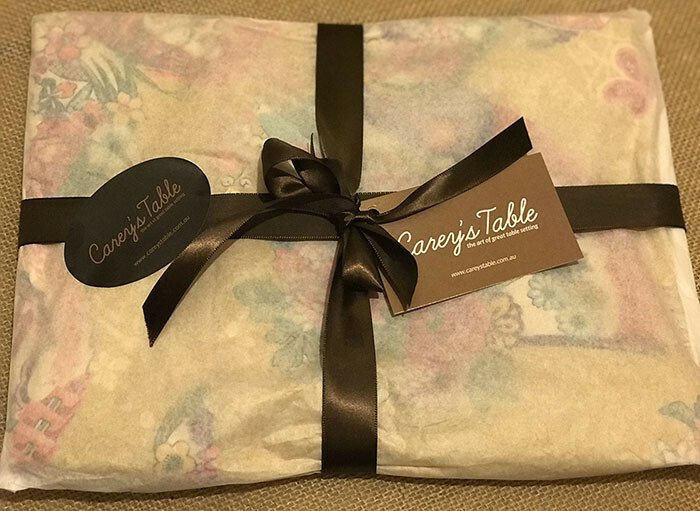 Placemats have an inner layer of felt which gives them a very luxurious feel whilst protecting your table. 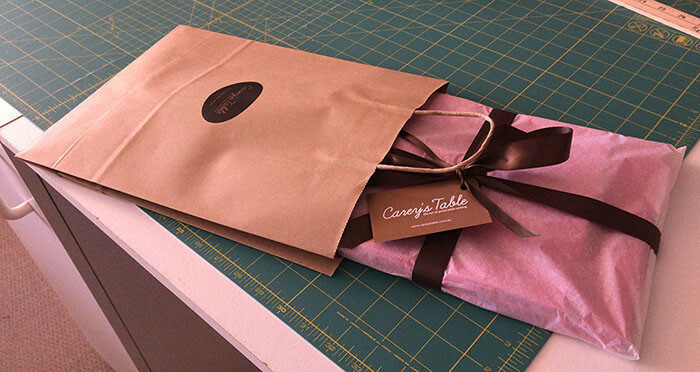 Placemats are 44cm (17 1/2") by 32cm (12 1/2") approx. 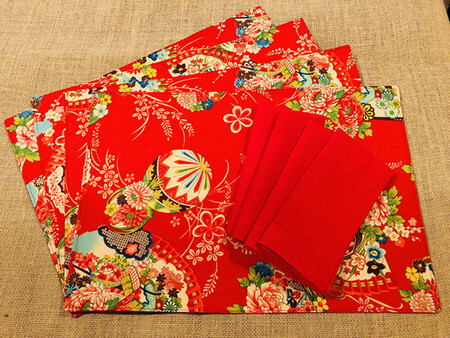 Set of 6 Linen Dinner Napkins 50cm (20") square approx in Red. Napkins have Mitered Corners. Drip dry of dry without delay away from direct heat. 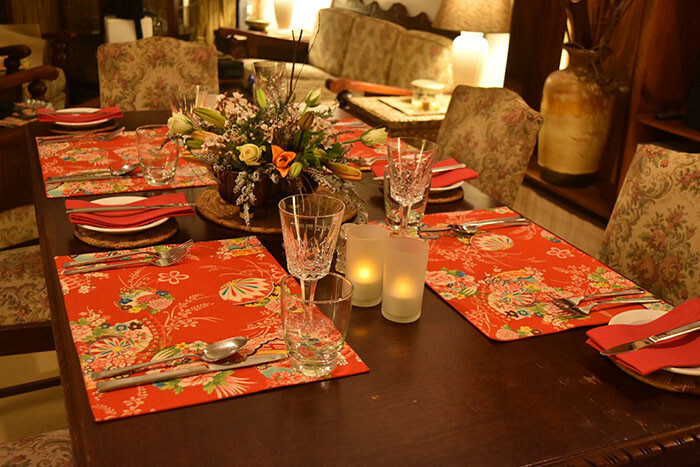 Fabric layout may vary with each placemat. Why not add a set of Cocktail Napkins (8) in Red to this Gift Set - To be ordered separately. This combination is also available in a Set of 4 (for 8 order two 4's, advise when ordering if you would like it wrapped in one parcel) - To be ordered separately. Gift Sets also available in Luncheon Napkin size - To be ordered separately.